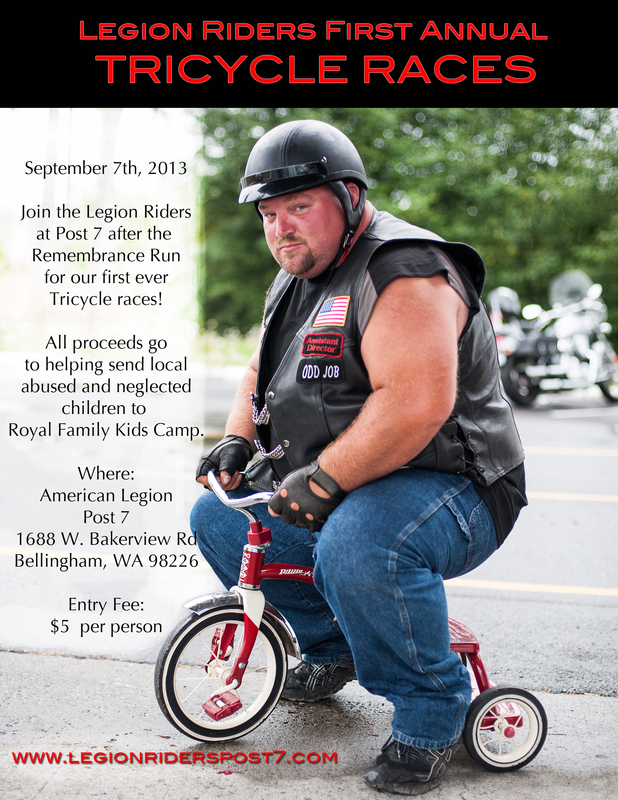 Please join the Legion Riders at Post 7 for our very first Tricycle Races for Royal Family Kids Camp! We will “rev our engines” after the Remembrance Run on September 7th, 2013 at Post 7 in Bellingham WA and see how much we can raise to help local abused and neglected children get to camp next year! For more information on Royal Family Kids Camp – please visit this page. For More information on the 10th Annual Remembrance Run – Please visit this page. Come enjoy some good food, great music and FUN! The 911 ride will be on 9/9/17 starting in Bremerton. I’ll get something posted soon. Hope to see you there!